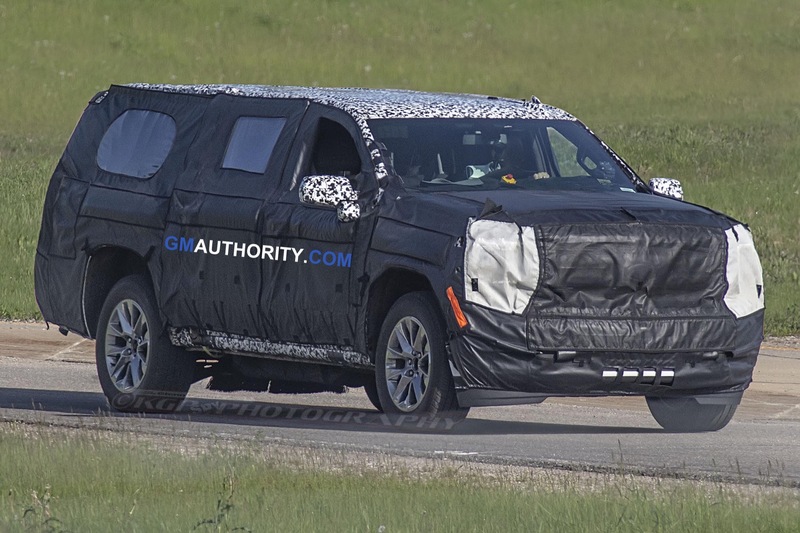 Testing of GM’s upcoming full-size SUVs, including the 2020 Chevrolet Suburban and Tahoe, has increased over the past few weeks, and some of the prototypes have advanced closer to production. One tell-tale element of that is the replacement of placeholder lighting elements with production-intent headlight and tail-lights. 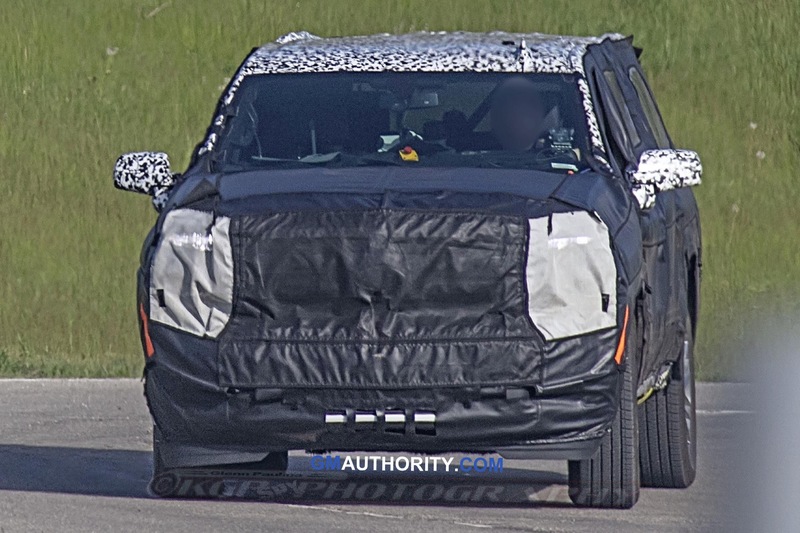 Today, our spy managed to catch the 2020 Suburban testing with production lights front and back. 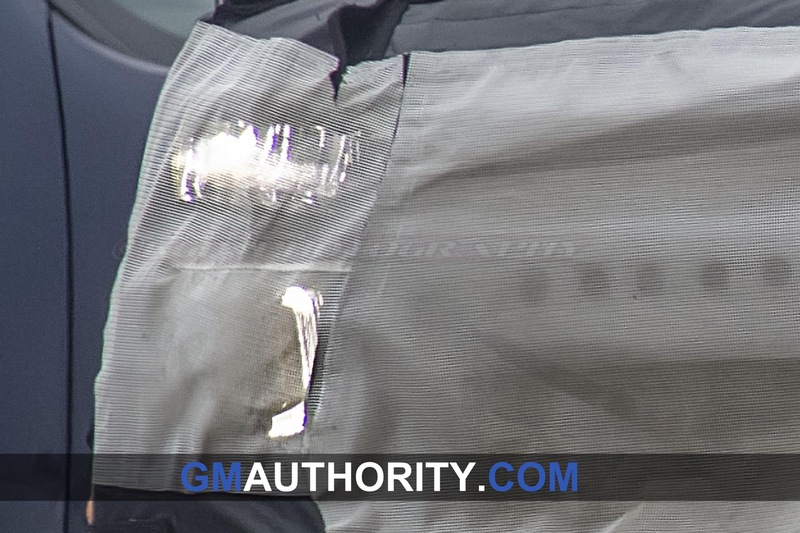 The headlights on the 2020 Chevrolet Suburban seem to resemble those on the SUV’s pickup truck counterpart – the 2019 Silverado. 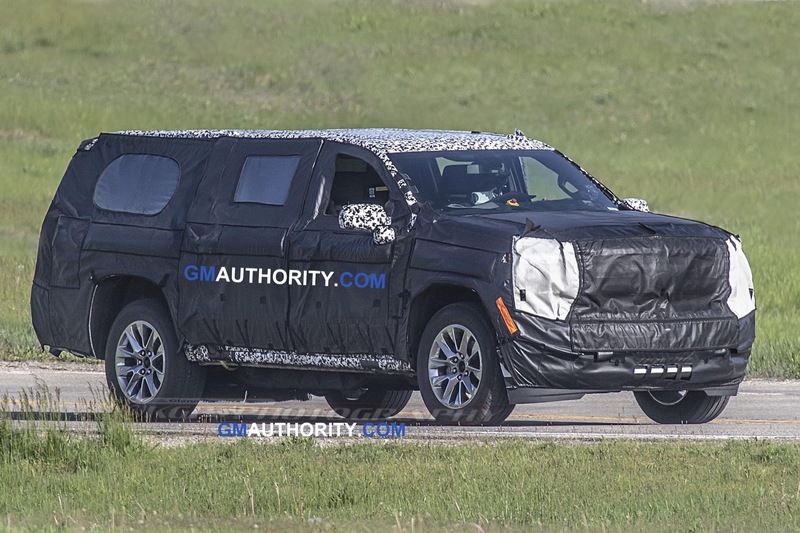 However, the Suburban’s lights seem to feature several unique design elements that set them apart from the pickup. 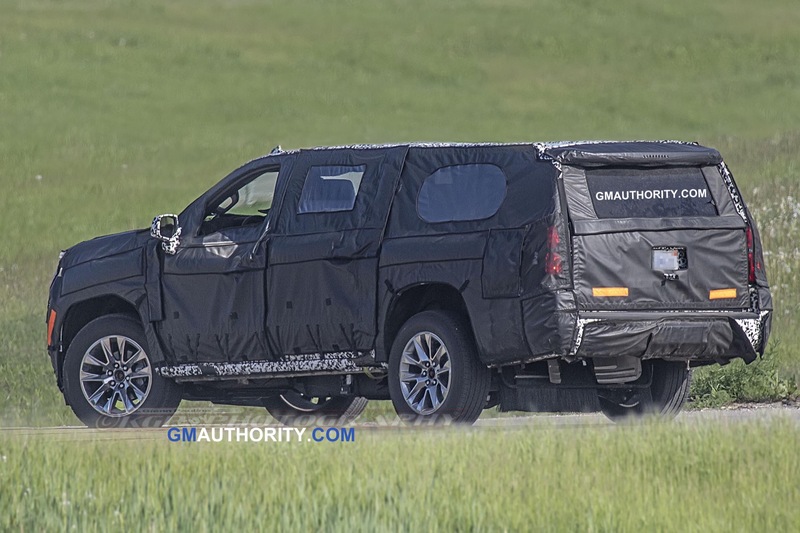 Though the 2020 Chevrolet Suburban prototype we caught up to is wearing heaps of camouflage meant to obfuscate the actual design of the vehicle, we can still make out that it will feature a similarly-adventurous lighting design as the all-new 2019 Silverado. We seem to be able to make out a thin headlight strip and the “boomerang” LED lighting signature, both of which are present and accounted for on the Silverado. 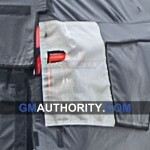 The shapes lurking beneath the camo don’t seem to be exact replicas, but they certainly have a similarity. 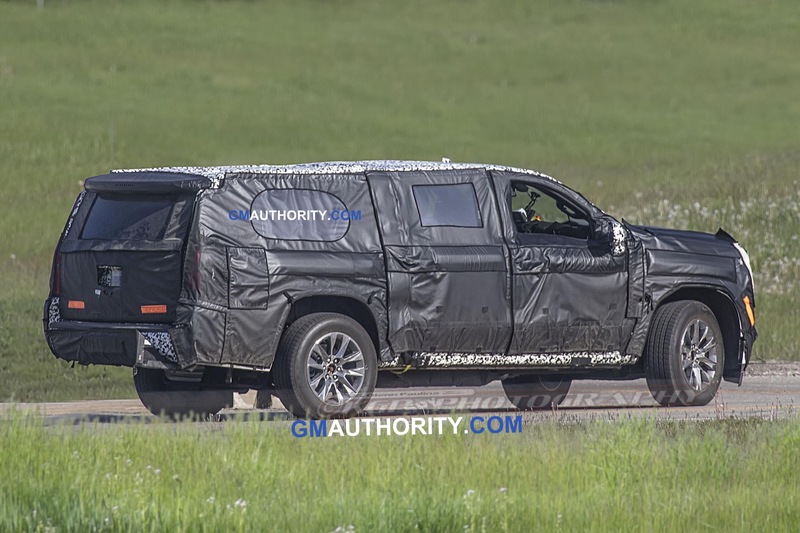 In that regard, it would appear that Chevy will create a “family look” between the Silverado family as well as the Suburban and Tahoe that are derived from it. Out back, the camouflage gets in the way of the taillights more than we’d like it to, making it more challenging to see the taillights lurking beneath. 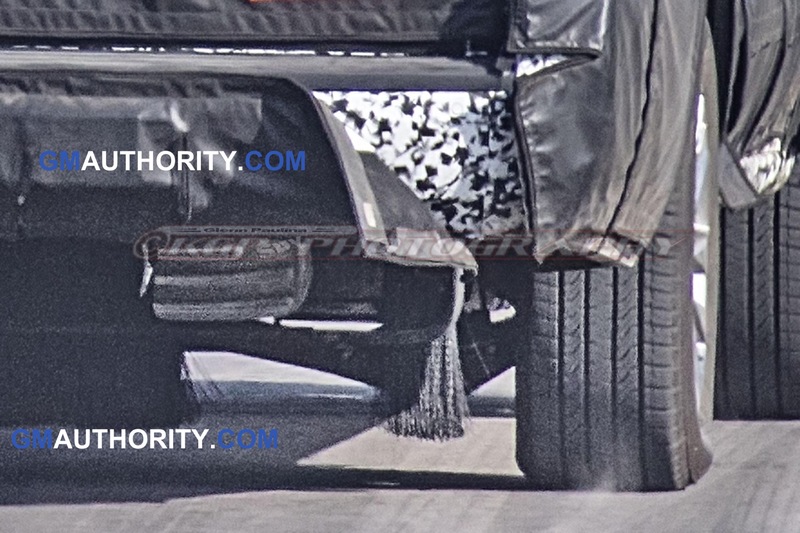 However, we would not be surprised to see the rear lights take on a similar signature as the Silverado. 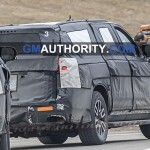 We should note that anything we see on the 2020 Chevrolet Suburban will also be present on the 2020 Tahoe, since the former is a longer variant of the latter. 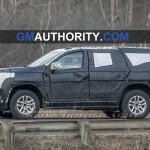 Expect the all-new Suburban and Tahoe to be announced very soon, and go on sale by the end of the 2019 calendar year as 2020 model year vehicles. 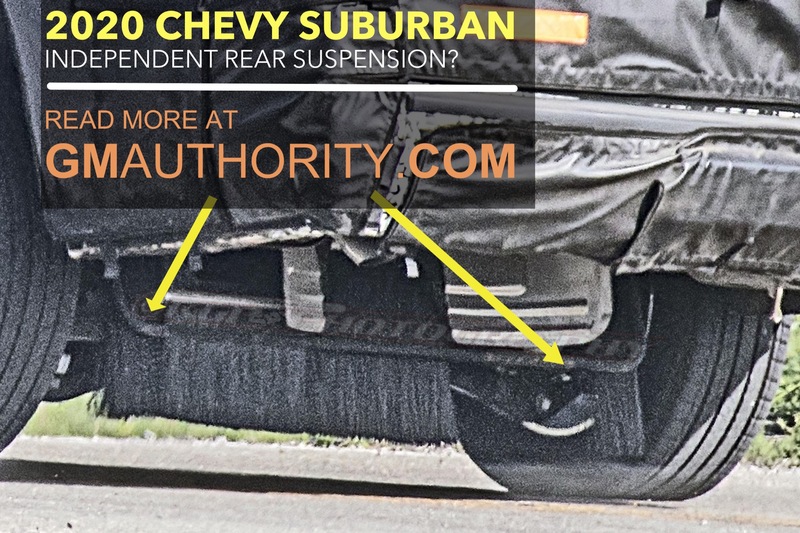 Subscribe to GM Authority (for free) for the latest Chevy Suburban news, Chevy Tahoe news, and Chevrolet news… along with around-the-clock GM news coverage. Hopefully they set the bar on the interior this time. Competition has passed them up. The full reveal of GM’s core automotive market is happening soon, very excited to see what they’ll look like interior/exterior wise, what powertrains will be on offer, and what game changing features they’ll bring to the large SUV segment. Hopefully it has turbo engine with over 500hp. Current engines are just too weak and consume a lot of gas. Even adding the 10-speed to wake up the 5.3 up would be nice. On one hand I understand that they help minimnize warranty issues by not constantly introcuding new things but on the other hand they are behind in many ways. It would be nice if they swing for the fence on the big SUV’s. They are a big ticket niche and there’s no reason not to. I agree. Need more powerful and more efficient engines. 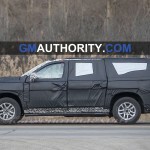 I hope GM adds 3.0 inline diesel to both sub and Tahoe ! Tfltruck had real power for the diesel yesterday , they are 277 Hp and 460 Torque at 1500 RPM . What we really need is that I6 diesel. I know 2 people who are waiting for it to come to the burb. 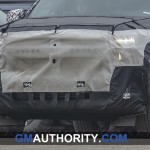 Considering what an absolute failure the 3.5 Ecoboost has been when it comes to reliability and efficiency, GM has little reason to replace their rock solid 5.3 and 6.2 engines. Especially when the 6.2 liter pushrod V8 gets better fuel economy than the 3.5EB and even the 5.0 Coyote in some cases. you can clearly see the IRS in one of the photos. 2020 can’t come any sooner! Bring it on! If GM doesn’t provide value in this segment, many will realize they can buy a new loaded Kia or Hyundai and save 20K. Hyundai Palisade and Kia Telluride are not competitors to the Chevrolet Suburban, Tahoe, or GMC Yukon offerings. Those compete with other 3 row unibody crossovers like the new RWD based Ford Explorer (Surprised why there are very few midsized RWD based SUVs out there), the next generation Toyota Highlander, Honda Pilot, etc, and none of those CUVs offer the space, comfort, towing capacity, and most importantly in my book, proper family orianted truck image that the new GM truck-framed SUVs will offer. 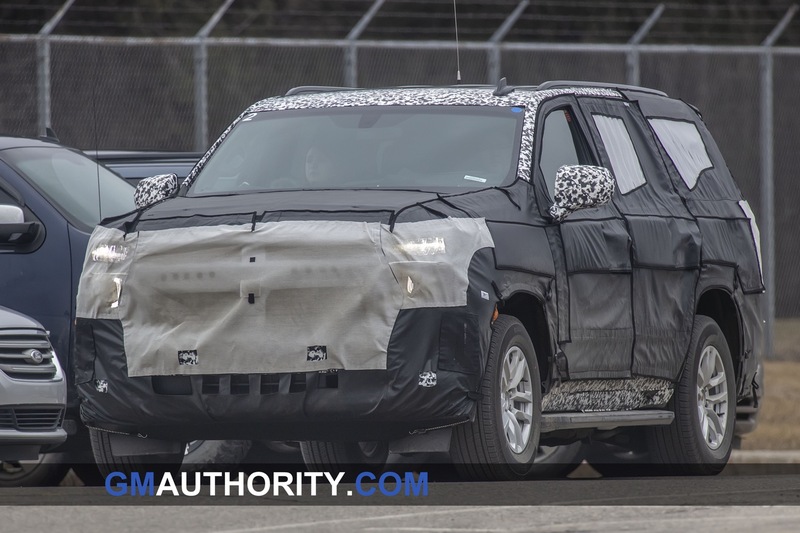 So many CUVs are trying to pretend they’re trucks, when in reality they’re not. 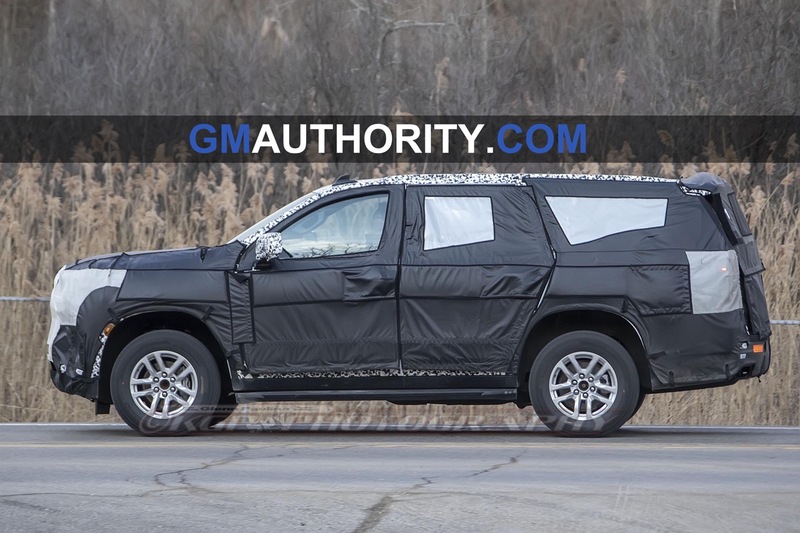 A large SUV like the GM SUVs I mentioned earlier are true truck-based SUVs, they’re body on frame, and they have the suspension and 4WD system out of a pickup truck, but in a proper family SUV package. I like that Hyundal and Kia are trying to induce more style into the 3 row crossover segment, but they simply cannot match the comfort, space, and capability that a full-size SUV offers. 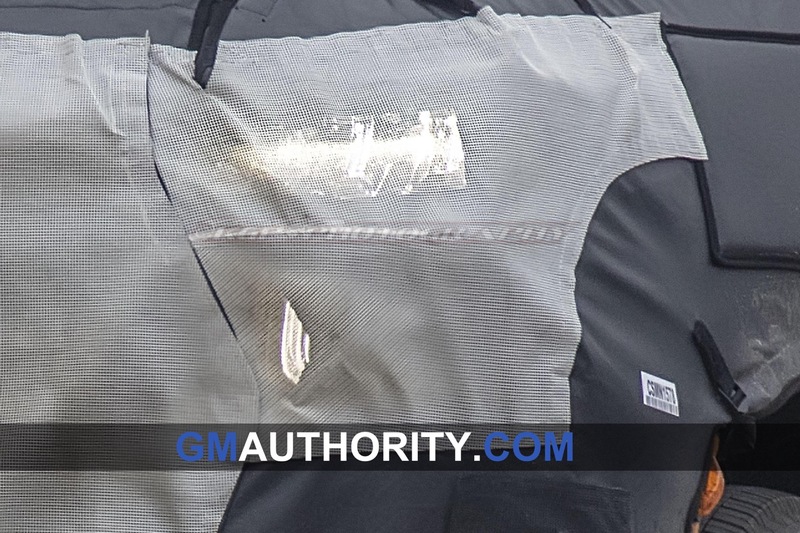 GM already has something in the Hyundai Palisade and Kia Telluride segment; it’s called the Chevrolet Traverse, the GMC Acadia, the Buick Enclave, and the forthcoming Cadillac XT6. 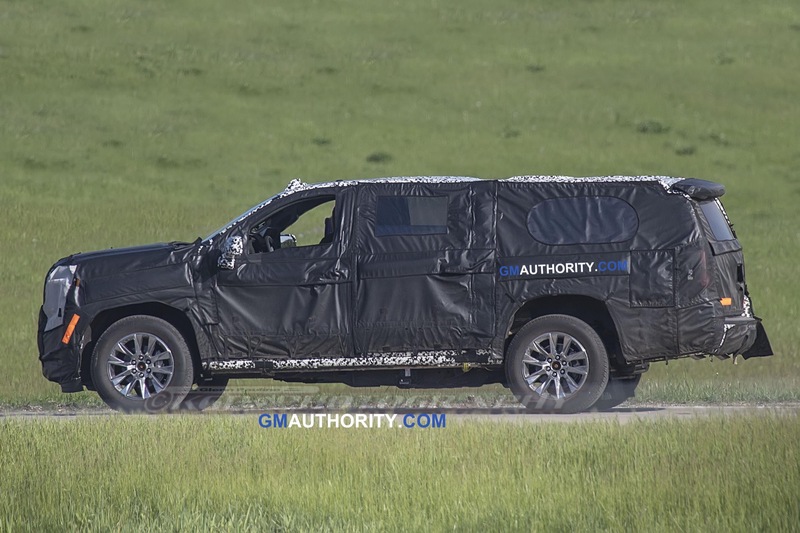 If anything, Hyundai and Kia have nothing that can go toe-to-toe with the Suburban. 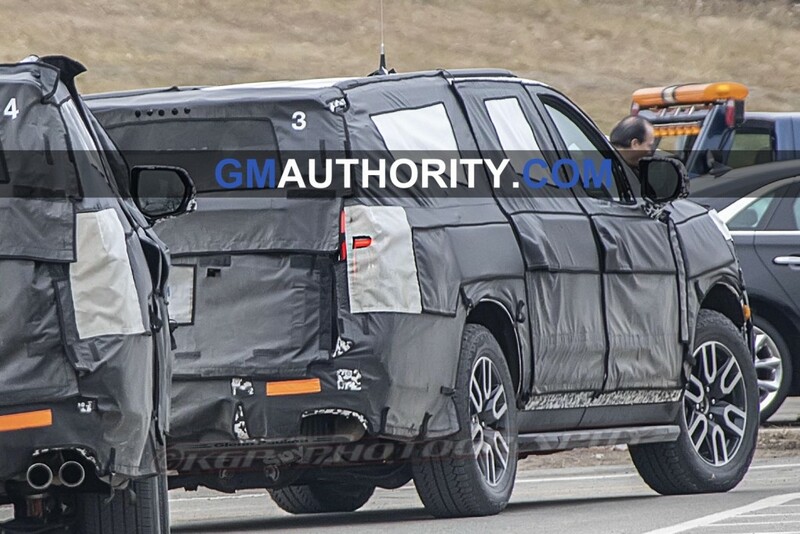 So while the Chevrolet Traverse, Hyundai Palisade, and Kia Telluride are all 3-row CUV’s, they aren’t in the same league as the Chevrolet Suburban, which is a 3-row SUV with 4WD, a much higher tow rating, and with enough room for a 4th row of seats. 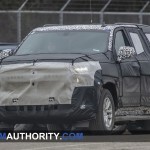 A 4 row Suburban would actually be very interesting. The Suburban is it’s own animal. I was referring more to those that were selecting the shorty Tahoe/Yukon/Expedition/etc. segment and then looking at what they really needed. How much do they really tow and what do they tow? How often do they use their third row for adults? 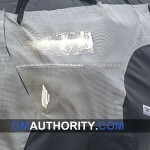 Then what feature set and quality materials do they get for the money with a loaded Telluride vs a Tahoe/Yukon? Even the loaded High Country Traverse goes for 7K or so more than the loaded Telluride. What I’m really suggesting is that people may begin to look at what they really need rather than what they want. I’ve often suggested here and elsewhere that many families would be fine with a Traverse with AWD than a Tahoe/Yukon, and they’d save a pile of cash. But it’s so tough not to get into that more aspirational vehicle (IMO). Obviously the Yukons and Tahoes have been sell well since the recession. 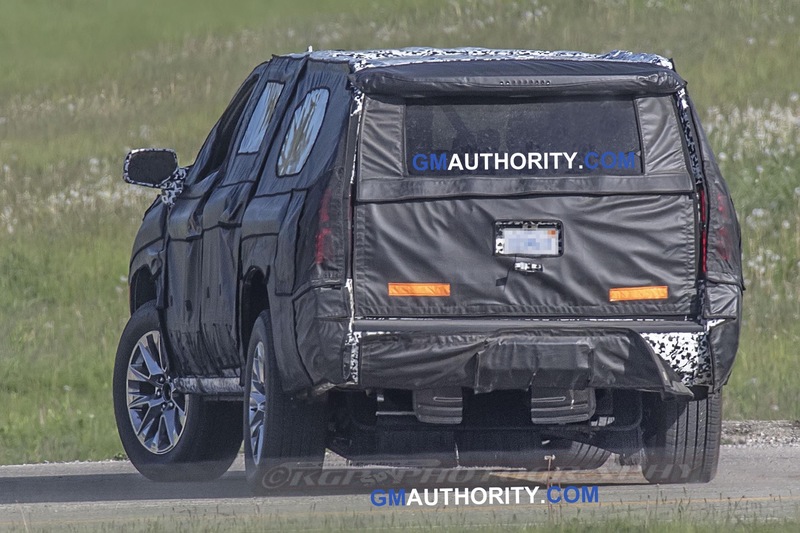 My point is that GM needs to get this design right if they are going all-SUV, and they need to price it right. This is one of the most commonly cited pieces of blatantly FALSE information circulating today. 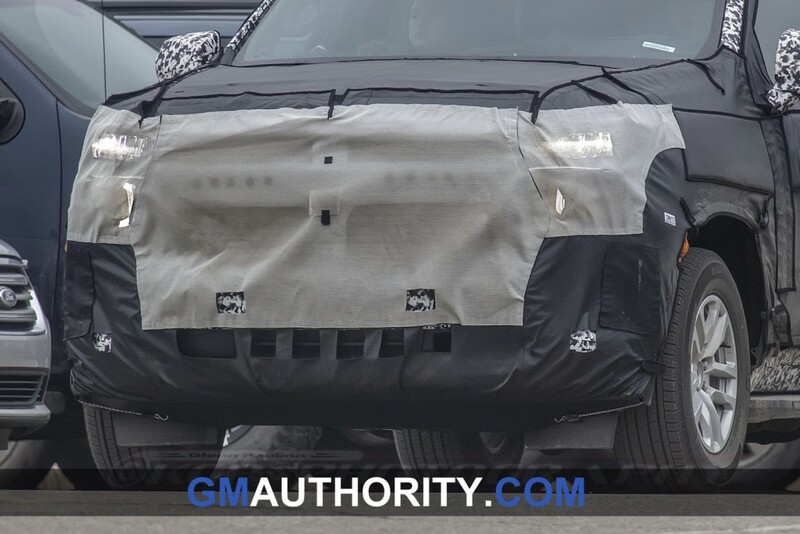 GM is NOT going all-SUV. They’re the only domestic brand keeping some sedans alive today. 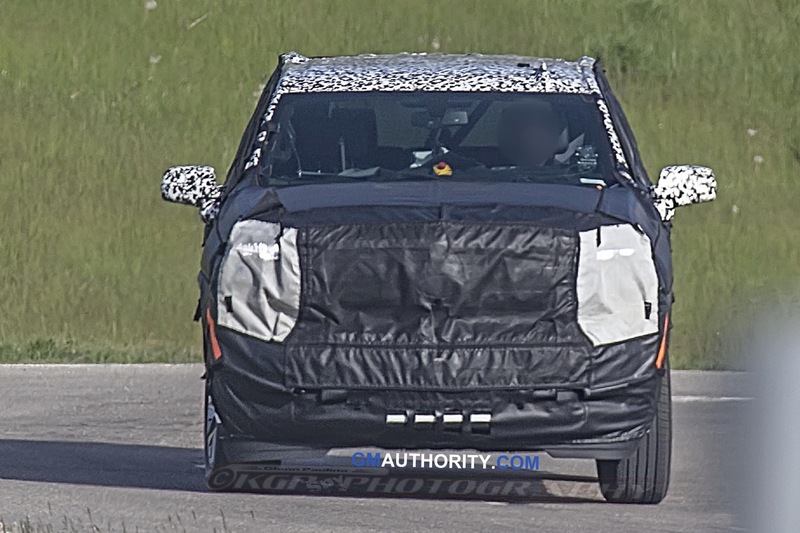 The ONLY domestic manufacturers “going all-SUV” are FCA and Ford. True. That was incorrect for GM, especially in a world-wide view. But in the US they are definitely limiting a large portion of their financial success to SUVs. And if they do, they’d better be good. Others have the same focus. LOL oh the Hyundai and Kia’s that are currently giving a Ford a run for its money in terms of vehicles spontaneously combusting? Yeah what a value! I hope they don’t play parts bin game and screw up the interior. Interior must be different and hell lot better than the silverado & sierra. 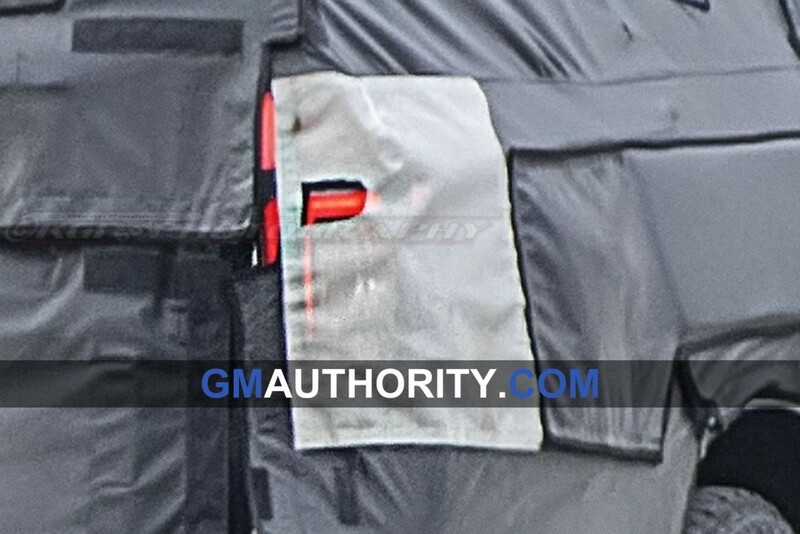 There is no reason to believe that the interior will be “the same” as the Silverado. 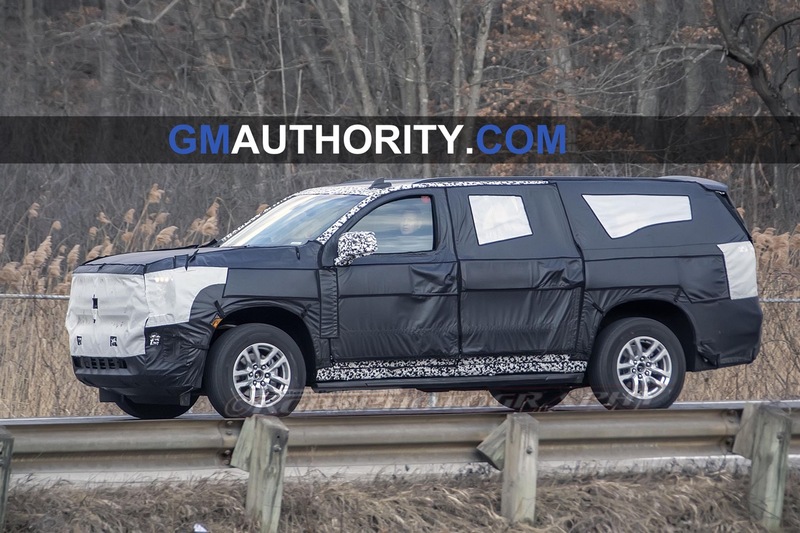 The cabin of the current Suburban is significantly differentiated from that of the Silverado. The same will be the case with these models. 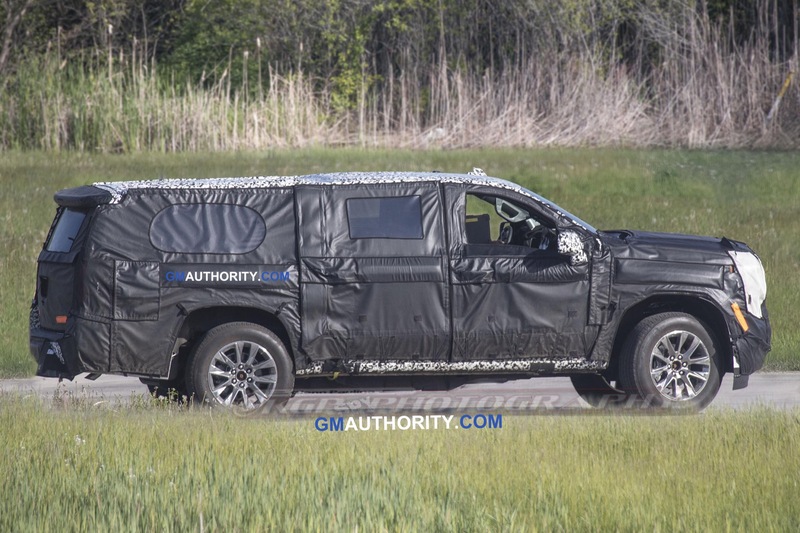 As far as I’m concerned, the tahoe and suburban should be a silverado with a covered passenger area. 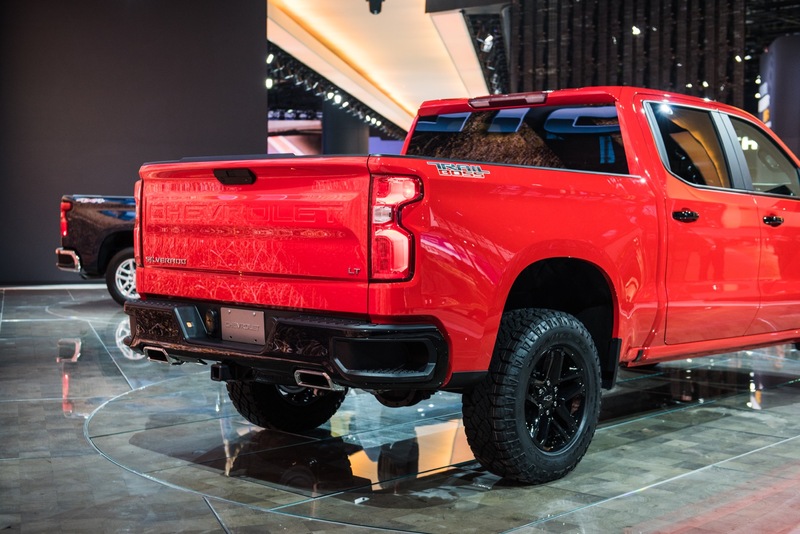 I’d like the front fascia and interior to be exactly the same, as its on the same platform and is basically a full size truck. I have no idea why people want the interior and fascia to be “differentiated”. It can be cheaper if it shares parts with silverado. Why would you want it more expensive with bespoke parts? Oh thats right, because the tahoe/suburban somehow became a status symbol luxury barge instead of the no-frills people/stuff mover it used to be. I’d agree with that because they used to always be the same. However, I’d rather the Silverado use the Tahoe/Suburban front end these days. GM’s success with their full-size SUV’s is thanks largely to their differentiation from the full-size trucks and the slightly premium and unique interiors. If they looked like regular trucks inside, they would lose favor with the soccer moms that lust after them. Except that when the Suburban looked exactly like Silverado, it still sold very well. The Kia Telluride actually has tons more space than the Tahoe, it cant tow as much but then again how often do most people who have these tow? GM better get this right or paying 20k more for a Tahoe/Yukon will be hard to justify to alot of folks. Then go buy your Corean POS, who wants a Killed In Action…. Right. I comes down to a buying decision – wants versus needs. 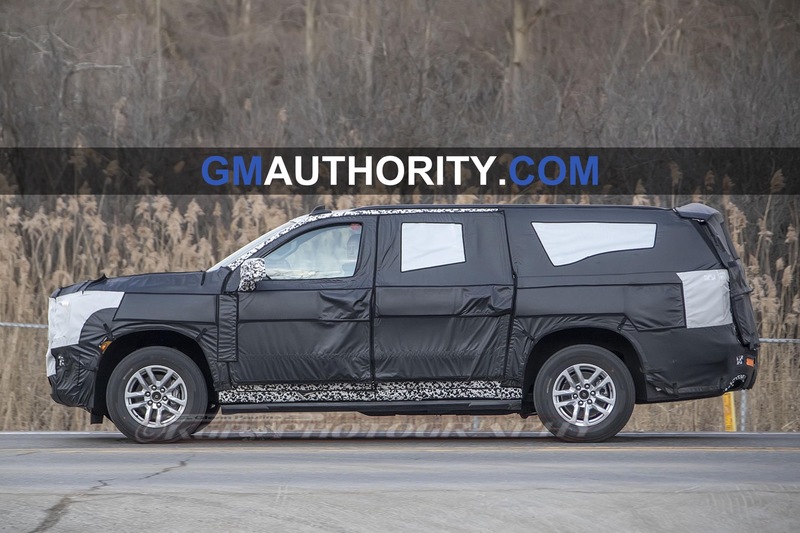 While the Tahoe/Yukon is the standard for the segment, GM needs to provide the value, quality and design that will keep them there. If folks drop down to a “smaller” segment, they’ll be faced with a decision to go with the Traverse (as Grawdaddy correctly pointed out), Ford, Toyota or this new Kia/Hyundai option. And they’ll be faced with what they get for their dollar. Some will buy American, some will buy what gets them the most for their dollar and perceived quality. 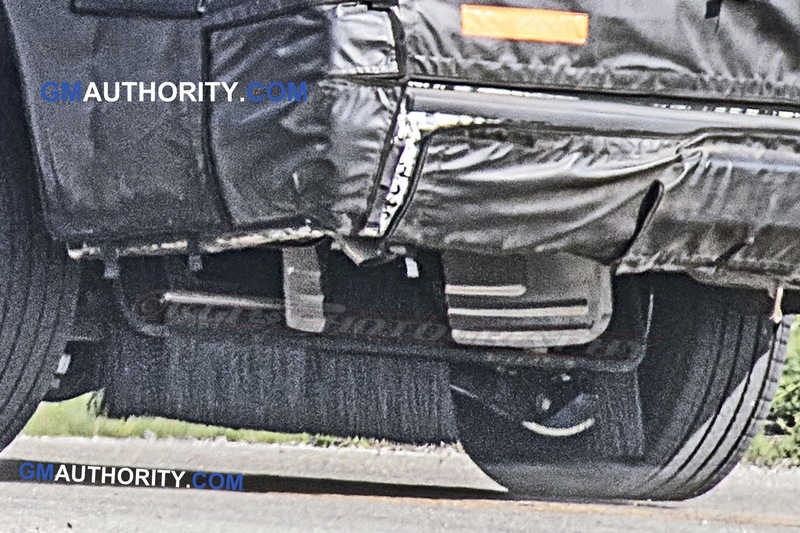 So… This is going to have the same awful front end as the new Silverado by the looks of it. Highly disagree with you. 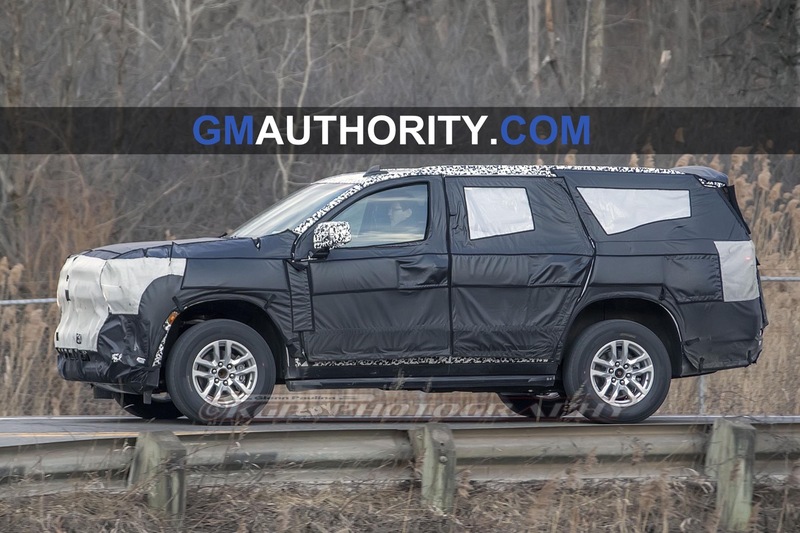 GM has significantly differentiated their large SUVs from the trucks they share the same architecture with in the styling department and in my opinion look more distinct and handsome. 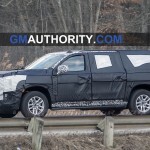 The same will apply to the new Suburban, Tahoe, Yukon, as well as the Escalade. 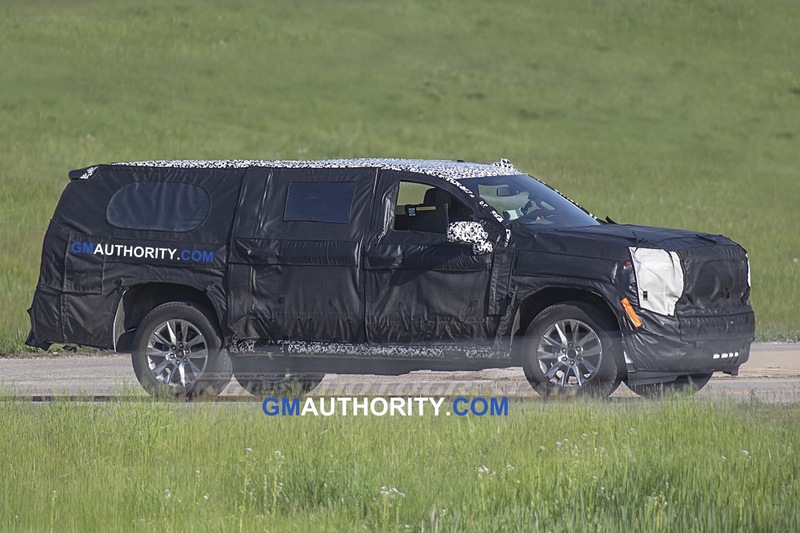 Chevrolet should do what Cadillac won’t do with their Escalade by building a Suburban SS equipped with the 650 hp LT4 supercharged 6.2L V8 engine. I am already NOT liking the headlamps, but it is too early to tell. This may be a FORD ballpark game. I would disagree with you. 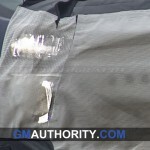 The production lights that are visible on these prototypes look very interesting. Until the new SUVs are unveiled, reserve your judgement. I will disagree with you because what [interest you] may not “interest me.” You know it is called an opinion, and I will hold mine boldly until further notice. 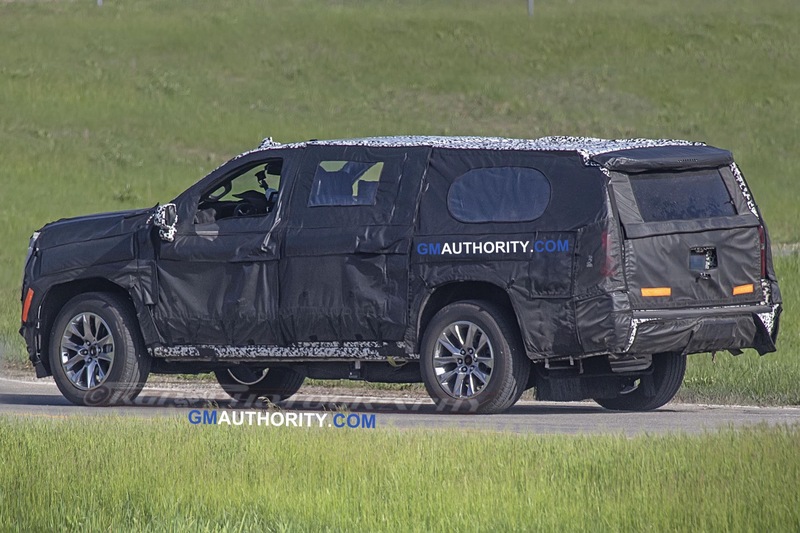 It seems like GM and Chevrolet cannot get it right like the third-generation Tahoe. The current gen has always been ugly to me especially the front-end and the headlamps. 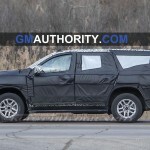 Navy , you can disagree all you want Ford fan boy ,Take that from a real GM truck owner ! Now in my opinion , The Suburban and Tahoe are great looking SUVs , So much ,that Ford copied them ,All you have to do is put them side by side !